. In total, we published 6 articles, and we will try to turn them into a small brochure or book soon. However, we believe that this story will be incomplete without describing the development of cruises in the Soviet Union territory. Well, believe us, cruises in the USSR existed! 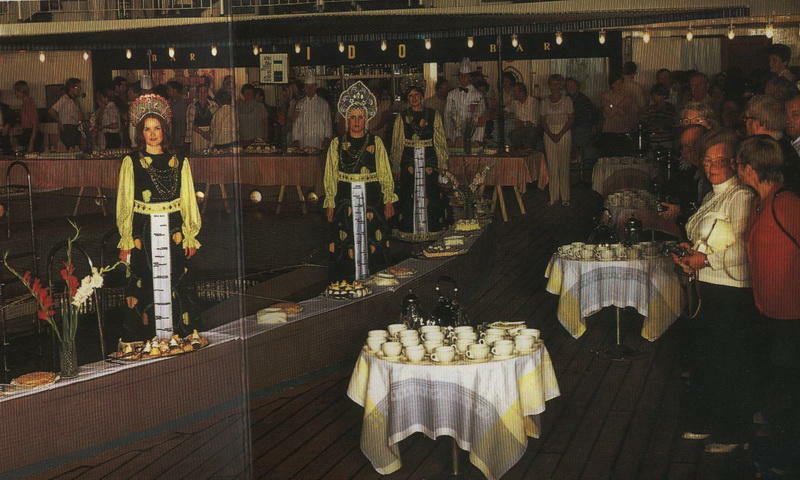 This part starts a series of articles about cruises in the USSR. So far, we do not understand how many articles this series will have. 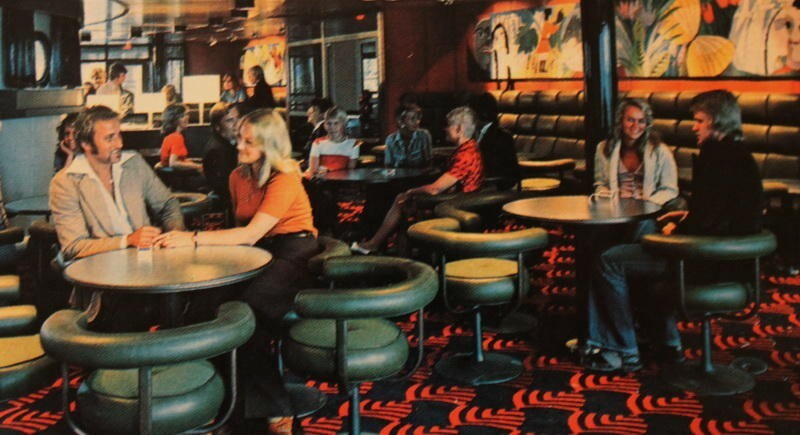 Do you think the cruises were popular in the USSR? The answer lies in the art. In 1968, one of the most popular Soviet movies, "The Diamond Arm" comedy, was filmed in the USSR. We won't discuss this movie's point. However, we'd like to mention that the whole story began on the cruise! We'll tell you the story of these ships separately. By the way, here is the film's trailer (you can see the ship at 0:20). The Diamond Arm (1969). ENGLISH Trailer from Alex Skorkin on Vimeo. 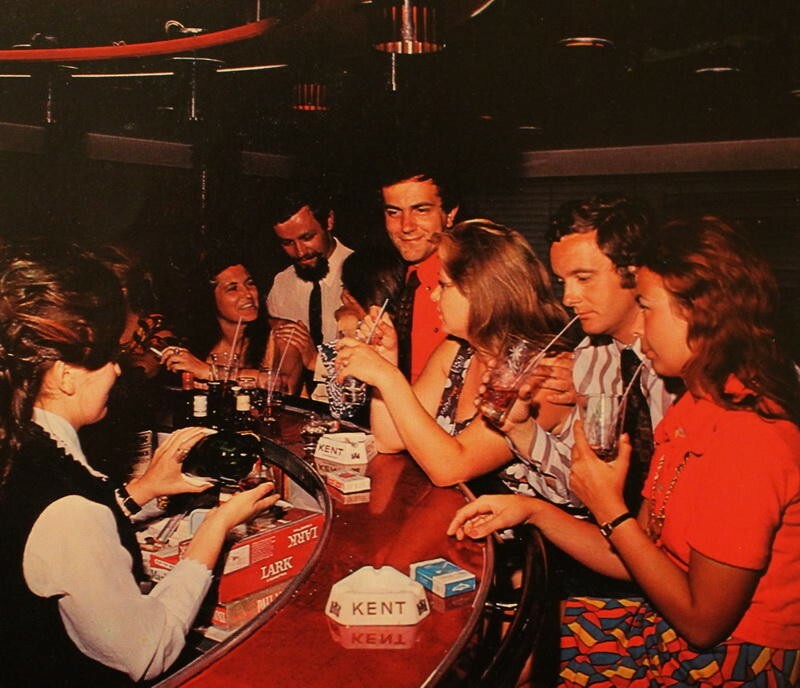 Well, the cruise vacation was popular on either side of the Iron Curtain! We won't go into historical detail in this article. 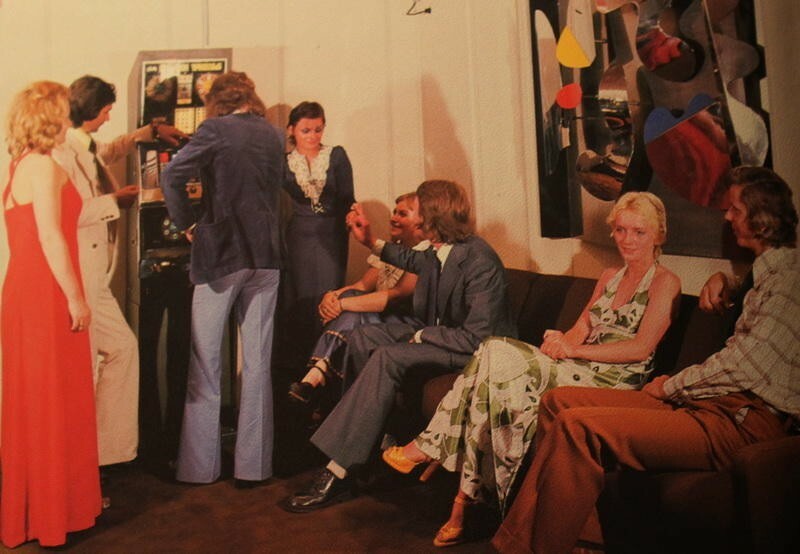 We'd like to show you a small selection of photographs taken in the 1970's - 80's. 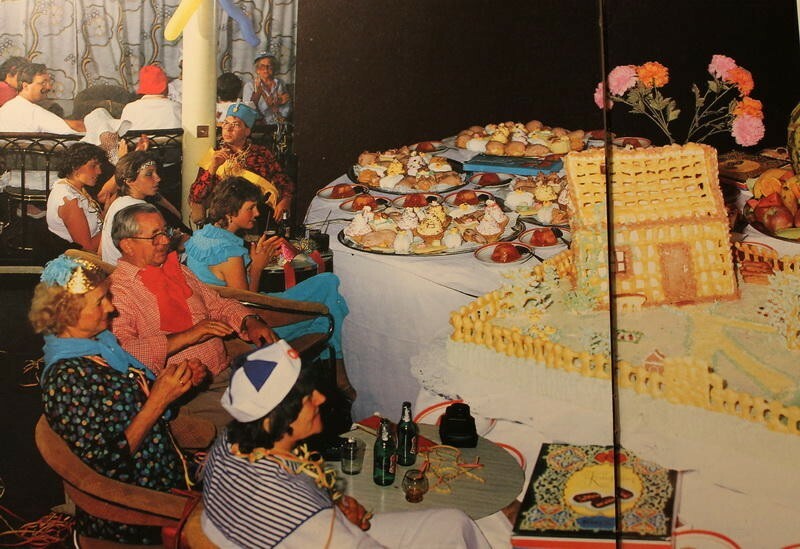 It turns out that the cruise vacation in the USSR was well developed. Of course, not all had the opportunity to take the cruise. 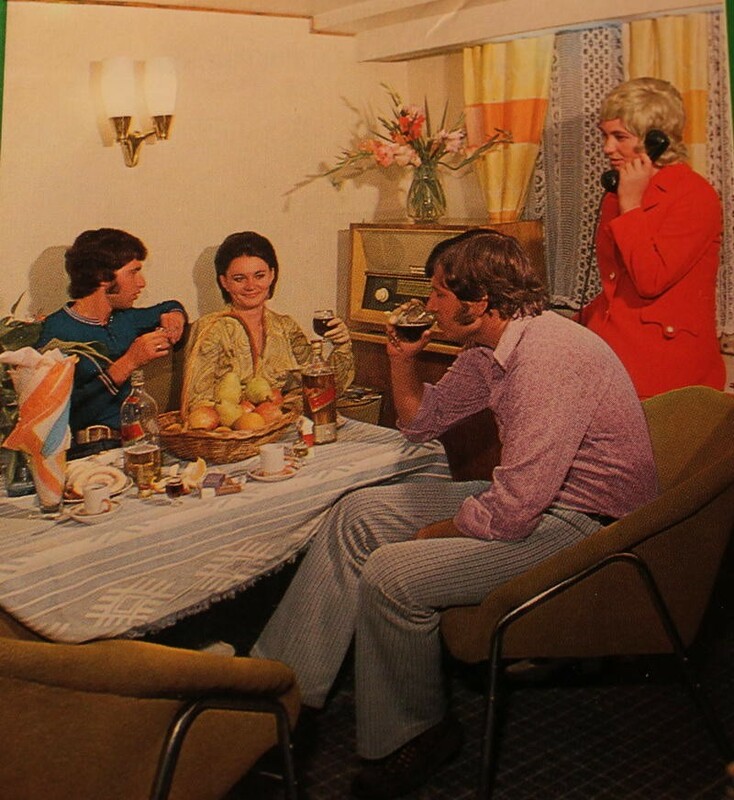 To a certain extent, this type of vacation developed to show the foreigners how successful communism was. Or at least to show that communism did not concede to capitalism. 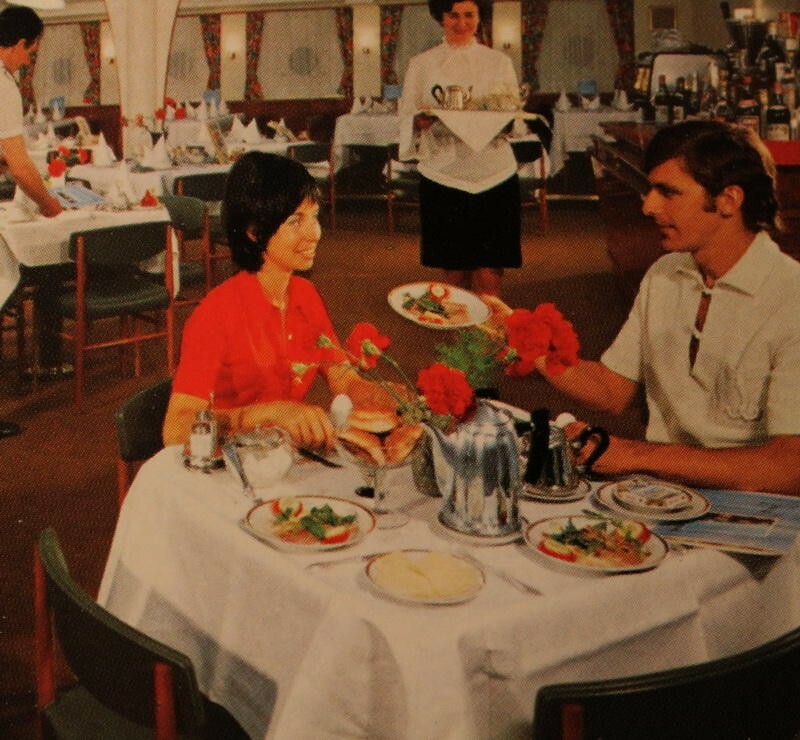 In general, these cruises did not differ from standard cruises of those years. We should note that these cruises were almost unavailable to most of the Soviet Union population. The fact is, leaving abroad was practically impossible for the USSR citizens. However, it was possible to get the nearly free cruise on the Black Sea or the Mediterranean Sea for special achievements. In some cases, one could get on the "distant" cruise. Usually, there were several cruises per year in the following directions: the Baltic Sea, Around Europe with a visit to France or England, and Baltic cruises with a visit to Germany. Cruises to the USA and Canada were very rare. 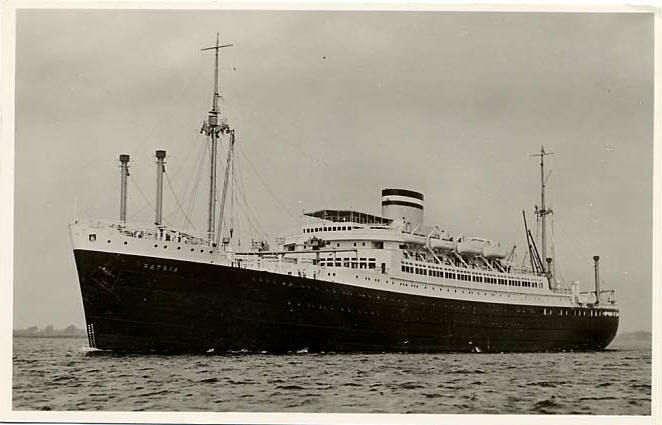 Sailings to Japan, Africa, India or Cuba were even rarer. We can't state that these photos are not the posed ones. However, we can see the general atmosphere and interior. This picture is very symbolic. The fact is, Pepsi appeared in the USSR only after the 1980 Summer Olympics. 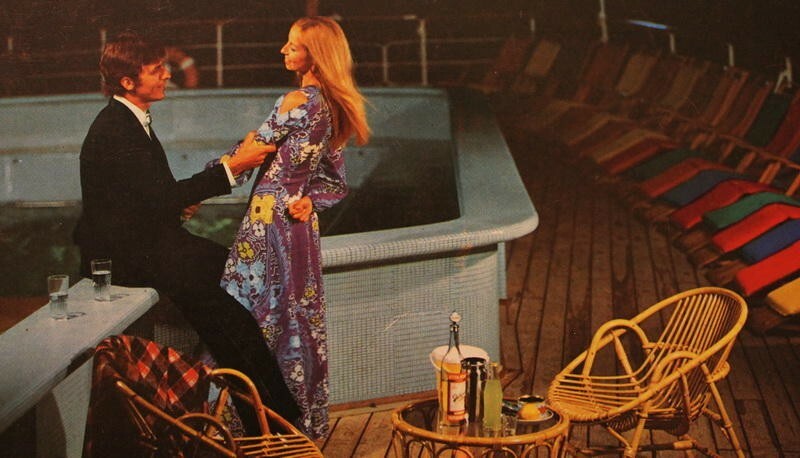 Apparently, the American brands were available on cruise ships even before it. 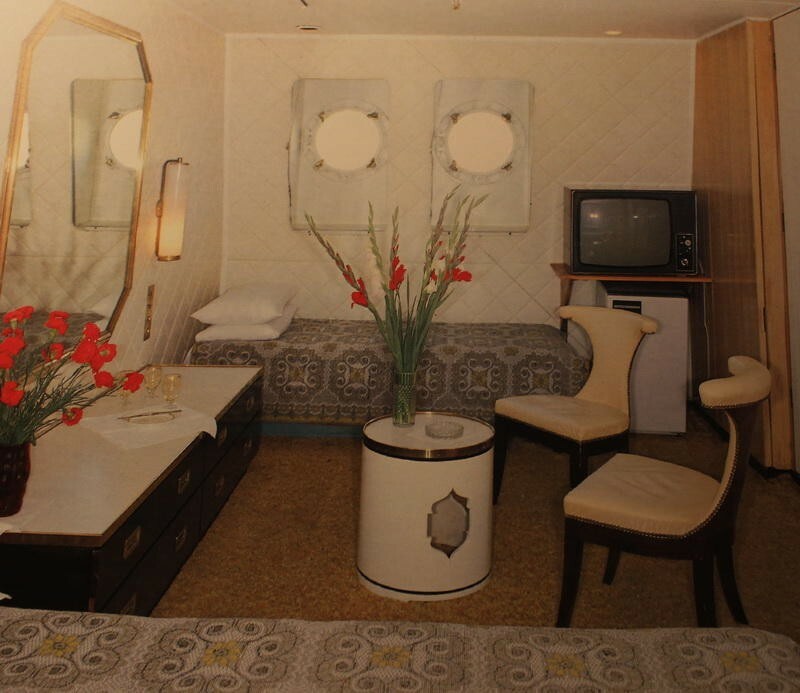 It is a standard cabin aboard the Soviet cruise liner. 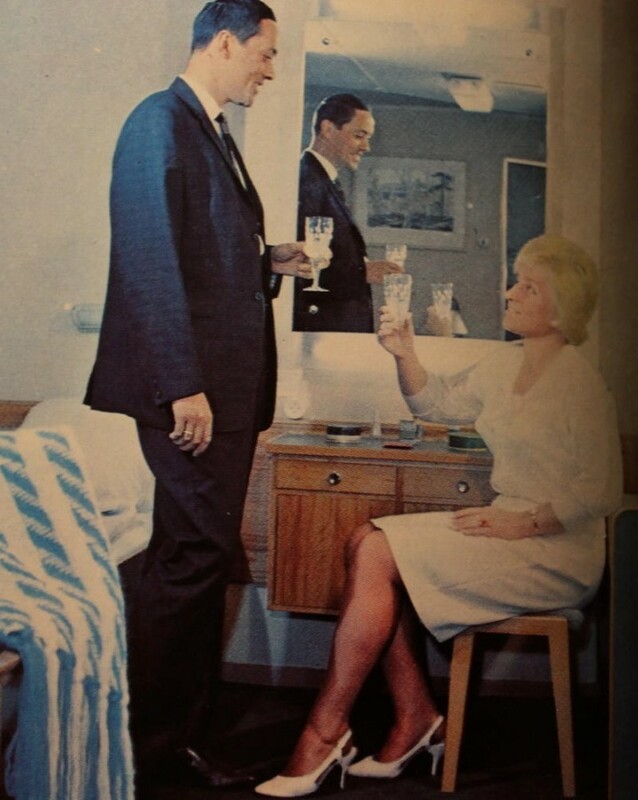 Sometimes one can find information that Soviet cruises began in 1957 or later. It is not so. In the next articles, we will try to describe the story in more detail. 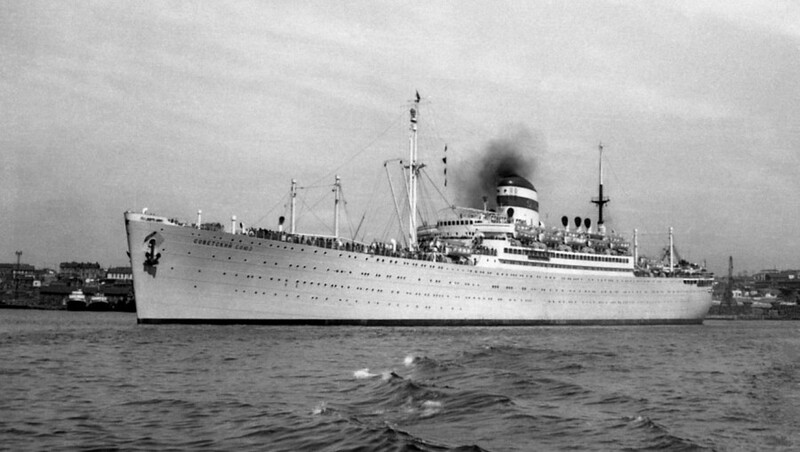 Some cruises were organized especially for tourists from the Eastern Bloc countries. 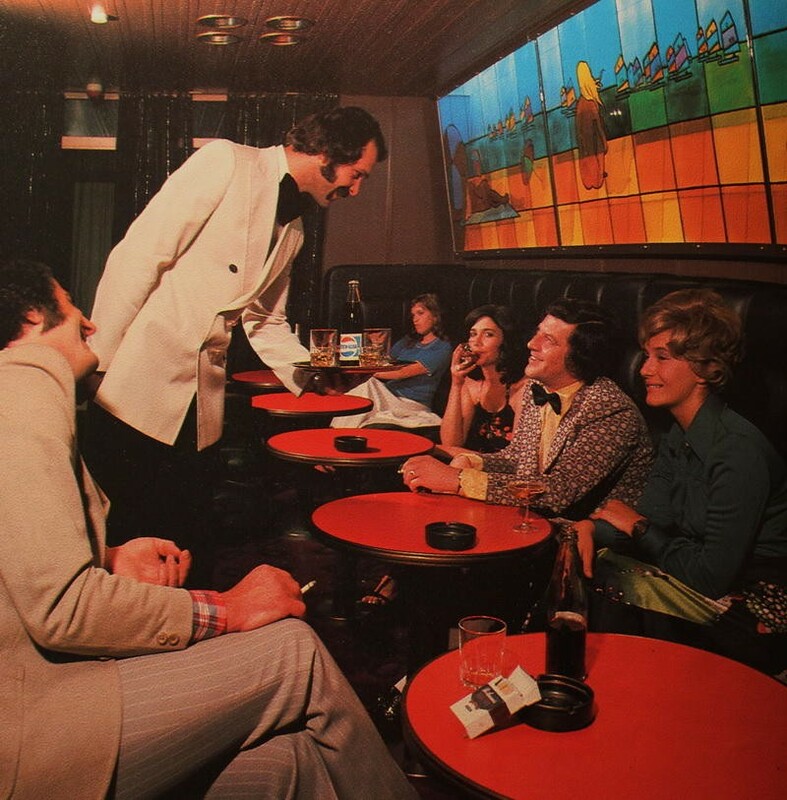 We should note that foreign tourists enjoyed a first-class reception and service. 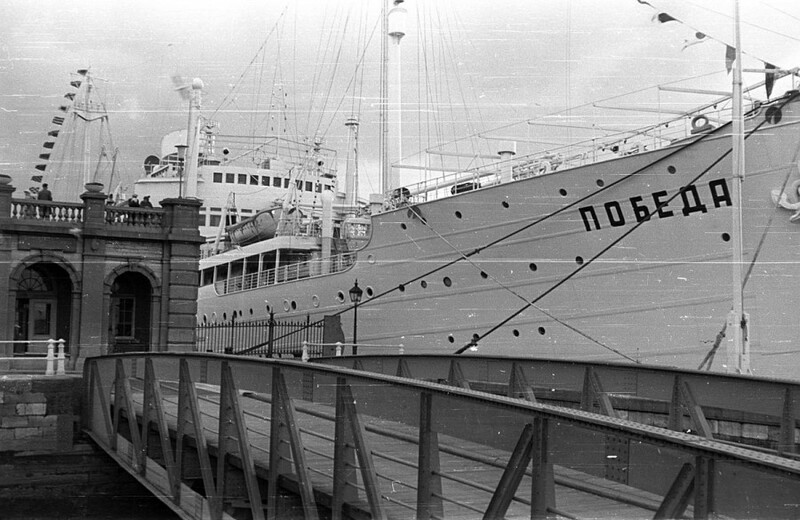 In total there were more than 50 cruise liners in the USSR. We will try to tell you about the most popular of them. 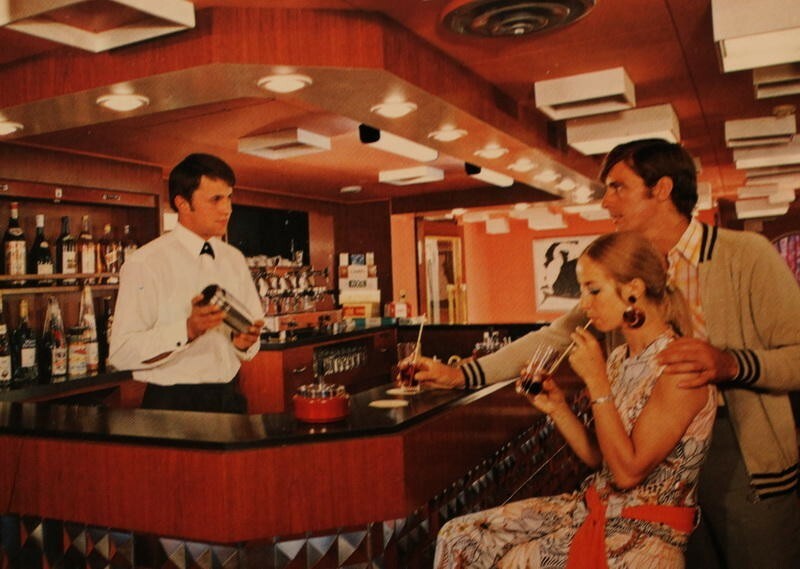 Sometimes these liners were as great as the modern cruise ships. Anyway, the design one can see in this photo is the case today. 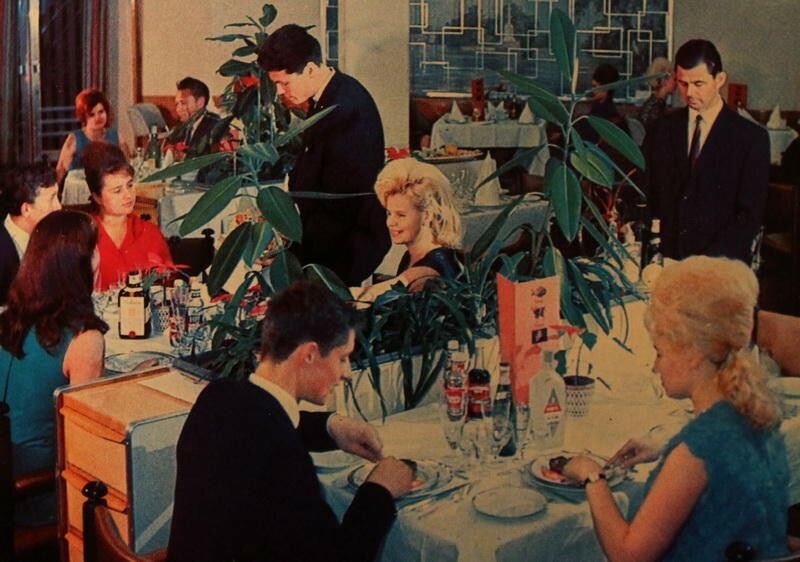 Service level on Soviet liners was also higher than in regular Soviet public places. Let's check more types of cabins. Well, and here's a bar. Frankly speaking, we planned to fit this topic into one or maximum two articles. However, when we started to study it, we realized that it would be the whole series of articles. We hope you enjoyed it. We will be very grateful for your reposts and comments - they really inspire us!